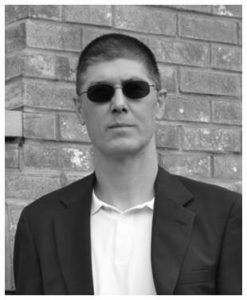 Beyer is the author of three novels, two of which are part of the Matthew Richter Thriller Series. His first book, In Sheep’s Clothing, was published in 2015 and reached the #1 spot on three separate Amazon bestseller lists. His third novel, The Devil’s Due, is a standalone novel, an historical thriller set in Ireland during the 1920’s. Beyer is an avid reader and, although he primarily reads thrillers, his reading list is somewhat eclectic. You’re more likely to find him with his nose in a good book than sitting in front of the TV. I write what I like to read. I love thriller and suspense novels–medical thrillers, legal thrillers, historic thrillers, political thrillers—particularly ones that are full of intrigue and ones with a lot of action & adventure. Brad Meltzer, Vince Flynn, Steve Berry, David Baldacci, Brad Thor—these are some of my favorite writers and they are a great source of inspiration. When I read, I want to escape and to live vicariously through the characters, even if only for a short while. I want to root for the good guy and hate the bad guy. And if the tension is just right, I keep turning the pages because I need to know what happens next. This is the journey I hope to take readers on with my books! This may sound strange, but I’ve found that the plot and even the characters themselves tend to go where they want to go and I’m just a scribe trying to capture it all on paper. I don’t normally start out with an outline—I just begin writing and I let the story take me where it wants. At some point, I might stop and spend some time thinking about where the story might go and about what some of the pivotal scenes might look like. I might even jot some of these thoughts down. But once I begin writing again the story goes in its own direction. I shared this with another writer and she smiled and nodded. She said that this is one of the cool things about fiction—about creativity—is that it tends to take on a life of its own. I don’t necessarily hear my characters in my head but I certainly do picture them. Here’s the interesting thing about characters: they tend to develop and evolve over time and sometimes in ways that I never imagined when I first sat down and started typing. Like the reader, I also learn more about who they are with each passing page. More than once, I’ve found myself reflecting on something a character just did and thinking that I hadn’t envisioned that the character would do something like that when I first created him or her a dozen chapters earlier. Sometimes, a minor character who I introduce for one scene comes back to play a much more prominent role later on. The characters, like the plot, seem to go in directions that only they can choose and often I feel that I’m left following along. The advice I heard most often when I started writing was to write every day, for as long as you can, even if it’s only for fifteen minutes. While I’ll admit that I don’t always follow that advice, like any skill, writing takes practice and you will become better over time. The second thing is to read everything you can within your genre or chosen field. Learn how writers approach their craft and along the way you’ll learn what an intriguing protagonist, a compelling plot, or engaging dialogue look and sound like. It’s also good to network with other writers. We tend to think alike and, even if it’s to commiserate on the rapid changes taking place within the publishing industry, writers tend to be very supportive of each other. At the same time, I would learn as much as I could about publishing, whether it’s traditional or self-publishing. Most importantly: get feedback. Find a handful of people who will give you objective advice about your writing. You can’t get better unless you know where you need to improve. Finally, hang on to the dream! Perseverance is as much a part of being a writer as a computer and a dictionary are! The traditional publishing world is risk averse and editors look for reasons to say no. I think this is especially so when your book is in a niche, like political thrillers for example, where there are a dozen or so best-selling authors who control the space. The other dynamic at play is the traditional publisher’s ability predict what will resonate with readers. It seems strange, but after over a hundred years in the business, these big houses still don’t know. Consequently, I chose to self-publish and have not looked back ever since. What I would recommend for those seeking to self-publish a book is this: Don’t try to do it yourself. Hire an editor and hire a graphic designer. To succeed, your book needs to look and feel like it came out of the traditional publishing houses. Quality is critical. I think the industry will continue to develop and evolve. I think the audio book market will grow as busy readers look for different ways to get their “reading fix” while traveling for example. I think the e-book market will continue to grow as younger people embrace reading for pleasure. Younger generations have grown up connected and on-line and this seems to be their preferred way of interacting with the media. Look what’s happened to the newspaper industry. But I also think that print will be around for a long time. There are a lot of people, myself included, who prefer to hold and actual book in their hands, to flip the pages. There’s something about it that a Kindle or a tablet can’t replace.